LAHORE: Senate Chairman Raza Rabbani on Saturday said that timely held Senate elections are mandated constitutionally. He was addressing a convocation of a private law college in Lahore. 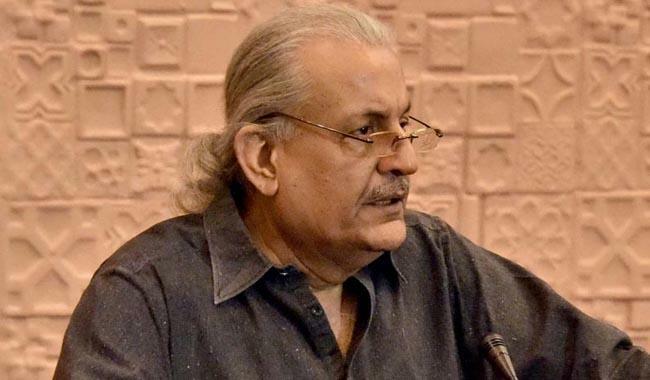 “The Senate election must be held on time as the Constitution states,” said Rabbani, adding that unconstitutional actions should be avoided at all costs. “The Constitution does not say anything regarding the completion of electoral college,” he said. “The election will be held on time and new members will take oath on March 12,” said the Senate chairman. He further stated that the stability of any institution depends on how much it is respected. “We must respect the institutions in order to make them stable, but it is also imperative that the institutions work while remaining well within their constitutional limits,” he observed. Rabbani claimed that Pakistan has either been operated under the ‘law of the jungle’ or martial law in the past. “Whatever laws we had in the past were not the same for people in power and the common man,” he said. In addition, the Senate chairman said that everyone should believe in the supremacy of the Constitution and the rule of law. Earlier, a press release issued by PML-N spokesperson Asif Kirmani read that the ruling party has opened calls for applications from people willing to join the party for the upcoming Senate elections to be held in March 2018. “The applications will be accepted from January 27 onwards until February 3 at the Islamabad PML-N secretariat,” said the statement.